I realize it has been awhile. I am troubled and find myself struggling with grief, relief and a great settling sadness. I'm going to start telling this sorry again. The story of how hard life is. I'm separated from my Jeeves, and finding the courage to face the world as a single Momma to my ducklings. This has been the year for changes. Some good and some just not so good. But through it all I know that you are strong and you are a terrific mama and you can be a single mama to your brood. I am sorry life gave you some lemons but I will be here to listen and maybe suggest here and there on how to turn them into lemonade. I too have some hard issues to work through along with not just a little weight to get off but a bigger chunk. Maybe we can work on getting healthy together. I've been thinking about my blog and maybe it's time again. But for now, know that I am here and will love to read what's up and if I can listen, learn and help along the way. Ever heard the saying, "it's like trying to herd cats?" or how about, "I've gotta get all my ducks in a row?" Combine the two and you've got an accurate description of life with 4 kids, 1 husband, a huge family, a full time job, 30 extra pounds and an affinity to start really involved projects at the last minute and make everyone crazy while getting it done. I am the Ninja, I am a mom of four, I work in tech support, enjoy crafts and cooking, and don't believe in diets. I love exercise and being outdoors and I love to eat junk food (slightly counter-intuitive right?) 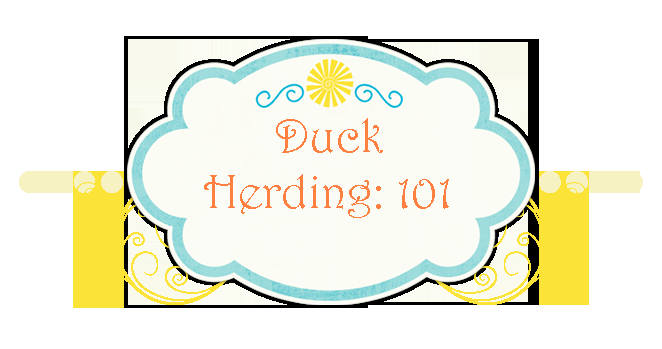 but I've put a stop to that and this is my blog about being healthy, counting my blessings, and figuring out how to herd my ducklings.